Pan head self tapping screws in a portable carry case. 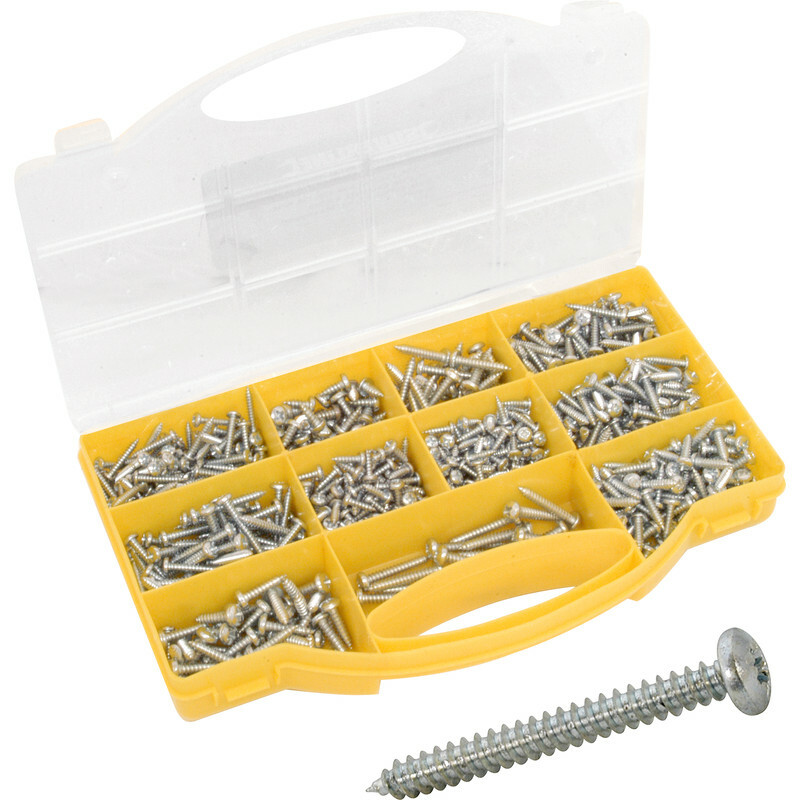 Pan Head Self Tapping Pozi Screw Pack (750 Piece) is rated 4.7 out of 5 by 12. Rated 3 out of 5 by Snorter from Not pozi This is a good selection of pan head self-tapping screws and met my needs. However, the set does not match that illustrated online and the screws are philips and NOT pozi. Rated 5 out of 5 by Crispie from Right mix of lengths and guages Bought to replace a set from a well known competitor which has lasted me for years. Very happy with quantity, quality and range of lengths and guages.good value for money. Rated 5 out of 5 by Madsods from Great value A good selection at an excellent price. Rated 5 out of 5 by PaulaPaula from HANDY LITTLE BOX OF SCREWS Useful box of assorted screws in a tidy container. Good for small odd jobs around the home. Rated 4 out of 5 by Marty1011 from Good Very good, only needed two out of the box but they live in the van just in case.